For the consummate pro or anyone who enjoys teeing up in spectacular settings, Texas has some of the most beautiful and challenging courses in the world. Settle into the wide open spaces of Big Bend, where the blue skies are bigger and desert plains stretch as far as the eye can see. Just one round in West Texas and you’ll realize why the region that spans from Midland in the east to El Paso in the west and down the Chihuahuan Desert into Big Bend National Park is the hidden gem of Texas Golf. One third of those courses have green fees under $25USD. Attractions and other TexasToDo’s: Alpine Museum of the Big Bend, Del Rio Whitehead Memorial Museum, El Paso Mission Trail & El Paso Museum of Art, Fort Davis McDonald Observatory, Marathon Evens Gallery, Marfa Chinati Foundation & Marfa Lights Viewing Center, Terlingua Rio Aviation Inc., & Valentine Prada Marfa. Sunshine, warm weather, and of course, an abundance of tree-lined courses comprise the Gulf Coast region. A region that is a beacon for great food, fine art and cultural touchstones, and a wide array of diverse golf courses. Attractions and other TexasToDo’s: Bay area Houston Space Center, Beaumont Texas Energy Museum, Corpus Christi Art Museum of South Texas & South Texas Botanical Gardens, Galveston Moody Gardens, Houston Museum of Natural Science, Houston Zoo, and The Menil Collection in Houston, Port Aransas Nature Preserve & Rockport-Fulton Aquarium at Rockport Harbor, and The Texas Zoo in Victoria. The Texas Hill Country is known for many things: rolling hills, endless fields of bluebonnets, and the best barbecue in the world. Strangers to Central Texas may be surprised to find that some of the country’s best golf courses are nestled smack dab in the middle of the state. More than half of those courses have green fees of $74USD or less. Attractions and other TexasToDo’s: Austin’s LBJ Presidential Library & the Lady Bird Johnson Wildflower Center, Burnet Longhorn Cavern State Park, Cedar Park Center, Fredericksburg Enchated Rock State Natural Area & the National Museum of the Pacific War, Kerrville Riverside Nature Center, New Braunfels Schlitterbahn & Gruene Hall, Round Rock Dell Diamond, Uvalde Janie Slaughter-Briscoe Grand Opera House, & Wimberley Zipline Adventures. Texas’s most unique region is easy on both the eyes and the wallet. You’ll be “as big a Texan” as anyone at the top of the Panhandle on that Amarillo highway, where the abundance of authentically Texan honky-tonks, golf courses, and small-town charm rivals that of anywhere in the state. Attractions and other TexasToDo’s: Abilene The Grace Museum, Amarillo American Quater Horse Hall of Fame and Museum, Canyon Palo Duro Canyon, Lubbock Buddy Holly Center & Museum of Texas Tech University, San Angelo Fort Concho National Historic Landmark & San Angelo Museum of Fine Arts, Wichita Falls Castaway Cover Waterpark & Wichita Falls Waterfall Hike and Bike Trails. The small towns of East Texas are serious golf-adventurer’s dream. Starting in Lindale and stretching to the Louisiana border is the Azalea Golf Trail, a line of public courses in charming spots like Gladewater, Lake Paletine, and Longview, where you’ll enjoy a relaxed atmosphere, tufts of the titular blooming azalea shrub and some of the best-designed courses in the state at a price that’ll leave room for more than a couple Lone Stars at the local watering hole. Attractions and other TexasToDo’s: Conroe Lone Star Monument and Historical Flag Park, Huntsville State Park, Kilgore East Texas Oil Museum, Longview Gregg County Historical Museum, Lufkin Museum of East Texas, Nacogdoches Ruby M. Mize Azalea Garden, Texarkana Perot Theatre and Tyler Caldwell Zoo. America’s Team and other world champion professional clubs, world-class shopping, and fine dining as far as the eye can see abound in and around the Big D. And though the Prairies & Lakes region is defined by the expansive Dallas-Fort Worth Metroplex and its vast multitude of stay-and-play options, historic country clubs, and pre-war munis, North Texas has so much more to offer. Attractions and other TexasToDo’s: Arlington Six Flags Over Texas, AT&T Stadium home of the Dallas Cowboys, & Globe Life Park home to the Texas Rangers, Bryan-College Station George Bush Presidentail Library and Museum, Cleburne Chisholm Trail and Big Bear Native American Museum, Dallas Museum of Art, Dallas Zoo, George W. Bush Presidential Center, and the Sixth Floor Museum & Dealey Plaza where JFK was assassinated, Forth Worth Amon Carter Museum of American Art, and Fort Worth Stockyards National Historic District, Garland Firewheel Town Center, Iving Arts Center, Mckinney Heard Natural Science Museum and wildlife Sanctuary, Plano Southfork Ranch, Waco Dr Pepper Museum and Waco Mammoth Site. Why is South Texas home to some of the greatest golf and vacation spots in the country? How much time do you have? Year-round warm weather. Authentic Mexican cuisine and world-class fine dining. 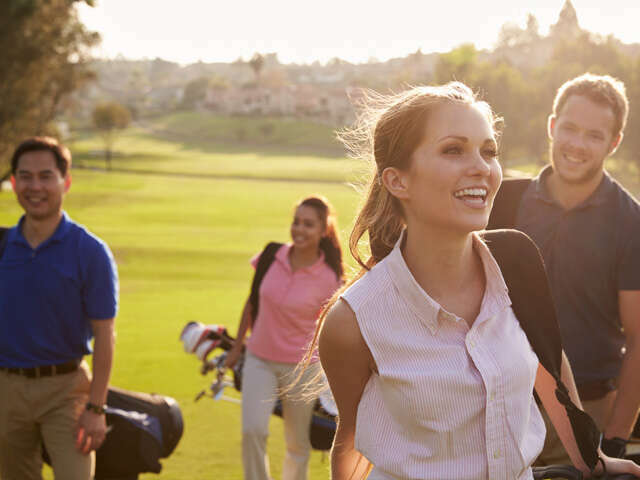 Affordable courses set against the backdrop of mature live oaks and expansive ranchlands. The list goes on. Two thirds of those courses have green fees under $75USD. Attractions and other TexasToDo’s: Eagle Pass Fort Duncan Museum, Goliad State Park and Historic Site, Laredo Lamar Bruni Vergara Planetarium, McAllen Santa Ana National Wildlife Refuge, San Antonio The Missions including the Alamo, Briscoe Western Art Museum, Natural Bridge Caverns, the Pearl District & Brewery, the Riverwalk, San Antonio Botanical Gardens, Six Flags Fiesta Texas, and the San Antonio Witte Museum.